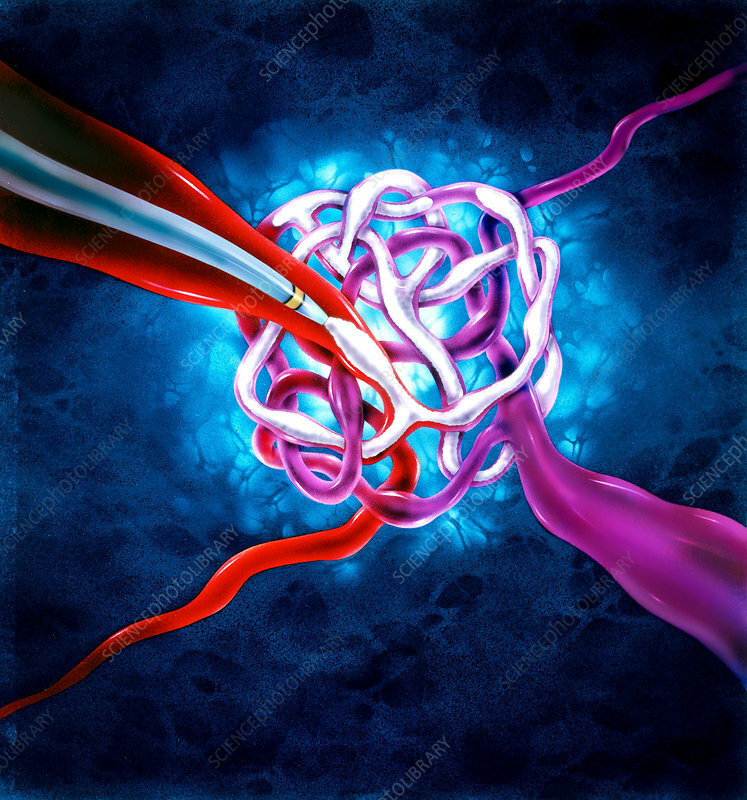 This illustration depicts an arteriovenous malformation, or AVM, undergoing treatment by filling it with a polymer resin. The resin will effectively isolate the malformation by transforming it into a solid cast, which the main vessels will bypass, restoring a normal flow of blood. In this type of defect, the flow of blood is cut short by the development of vessels connecting from arteries to veins. In the brain, this can lead to hemorrhagic stroke or cell death.